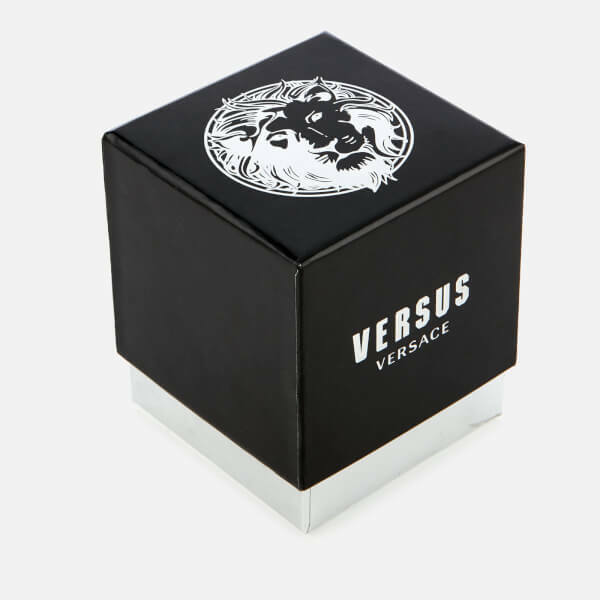 Stainless steel watch from Versace’s diffusion line, Versus Versace. 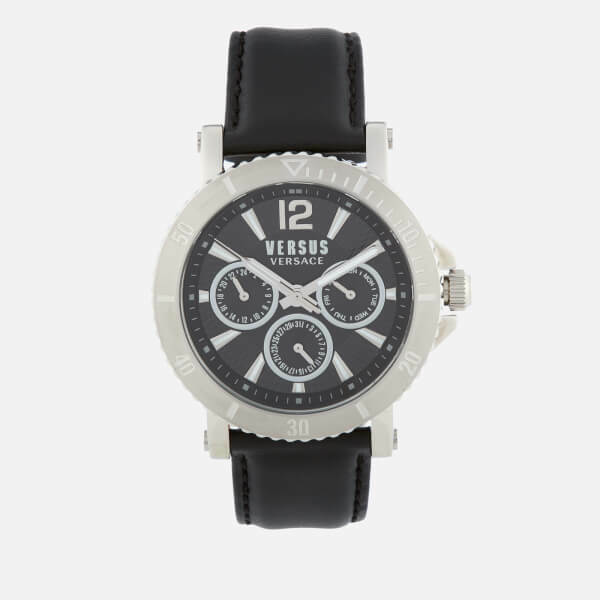 The men’s ‘Steenberg’ watch has a silver-tone stainless steel case with a black face and contrasting white details, signature branding at 12 o’ clock and three sub dials. 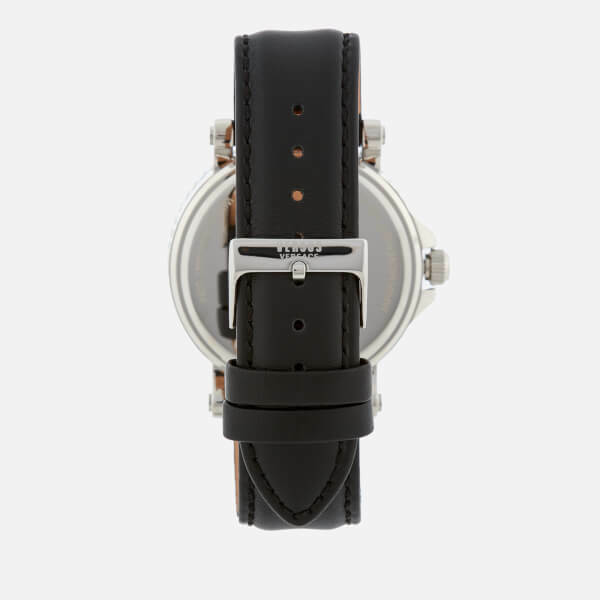 Surrounded by a minute embossed bezel with a ridged edge, the watch is detailed with a black leather strap and an adjustable buckle. 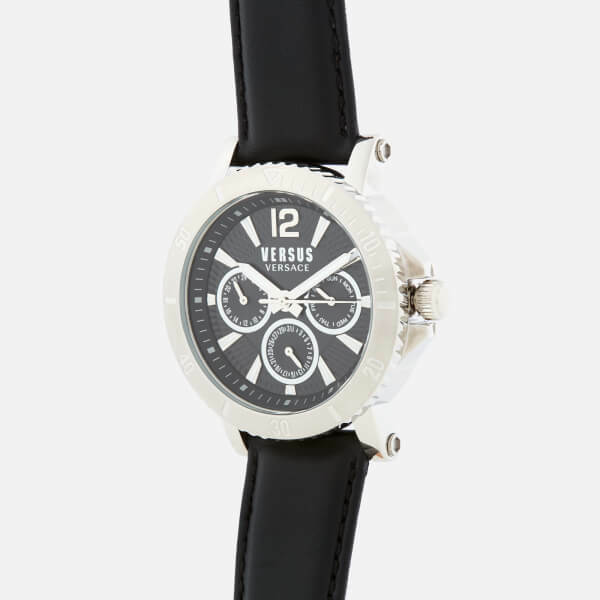 The watch is water resistant to 50m and presented in a branded gift box.